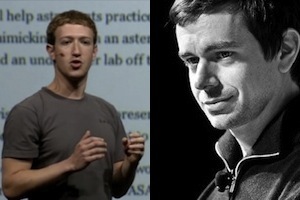 Seconds after Dorsey and Zuckerberg put up their news, it was picked up by casual readers who shared it and tweeted it. Technology media (including blogs) also picked up the news and published it as classic news posts. Some of us added analysis, but in the end both casual observers and publications were doing the same job — they were amplifying the news, spreading it across various mediums. There is a blurring of the line between what is news and what is a tweet, photo or a blog post. In other words, it is a kind of mosh pit of data and information — and that means the role of media is changing. A reporter’s job for the longest time has been to find information and report it. This is what we have called news. Sitting in the media box at the baseball stadium and reporting scores and providing updates for a wire service was as much “news” as reporting on the Watergate scandal. And up until the end of the 20th century, the sources of distribution were pretty limited — radio, newspapers, magazines and television. Andrew Sullivan, a career journalist, is one media person whose link sharing, blogging and actual writings are pretty consistent with his world view and what he considers is important news. When Sullivan writes a longer report or a deeper analysis, you know it is important and worth paying attention. When Gruber has gone deeper, it has more than likely been worth paying attention to, whether you agree or disagree with them. I am not saying we all have to be like them, but it is important to remember that in the future when Dorsey, Zuckerberg and Hastings are no longer an anomaly, the media person’s role is no longer just reporting news. Reporting through sharing and curation are going to be vital roles for us to play in the future. Is the Internet the "Paris" of the new millennium?